PG-13 - This plays contains adult themes including suicide. April 30 | 6:00 p.m. & 7:00 p.m.
Frankie and Irving are science nerds who have an unusual idea for the upcoming Science Fair! When Doctor Frankenstein's ancient secret book arrives from Transylvania, the friends are whisked into a sci-fi fantasy of time-warped, weirdly scary and lively adventure! May 7 | 6:00 p.m. & 8:00 p.m.
Law & Order: Fairy Tale Unit - In the fairy tale criminal justice system, the characters from fairy tales and nursery rhymes are represented by two separate yet equally ridiculous groups; the fairy tale police who investigate fairy-tale crime, and the fairy tale district attorneys who prosecute the fairy tale offenders. These are their stories. In this beautifully haunting play based on Edgar Lee Masters' Spoon River Anthology, the former residents of Spoon River examine life and the longing for what might have been. As the citizens reflect on the dreams, secrets, and regrets of their lives, they paint a gritty and honest portrait of the town as all of their pasts are illuminated. GVTeens I & II will perform together for a single, one-hour performance. 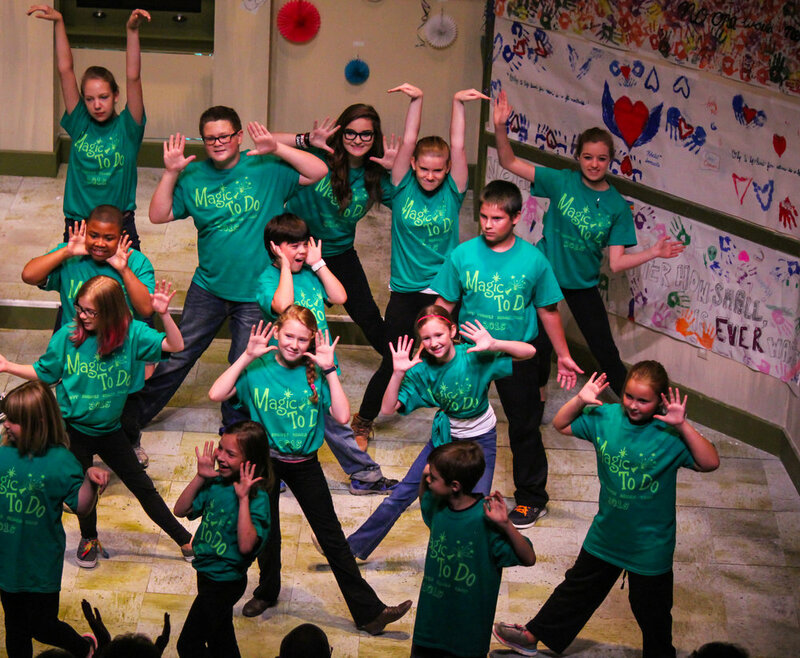 Greenbrier Valley Theatre’s Youth Education Program operates with a mission to provide ongoing, inclusive, quality education in theatre and the performing arts. Each season, GVT’s eclectic programming takes audiences to places near and far, real and imagined. Together, we have traveled the world, from Chicago’s Cook County Jail to a Russian cherry orchard and from a Monte Carlo casino to the memory of Maycomb, Alabama. Through theatre, the Curtain Up! Campaign (previously the Annual Campaign) will bring the world to West Virginia. The success of GVT began 50 years ago in a tent along the Greenbrier River, and with the help of dedicated patrons and talented actors, it has continued to grow. It started with local citizens like Ann Benedict who believed in the mission of the founders.